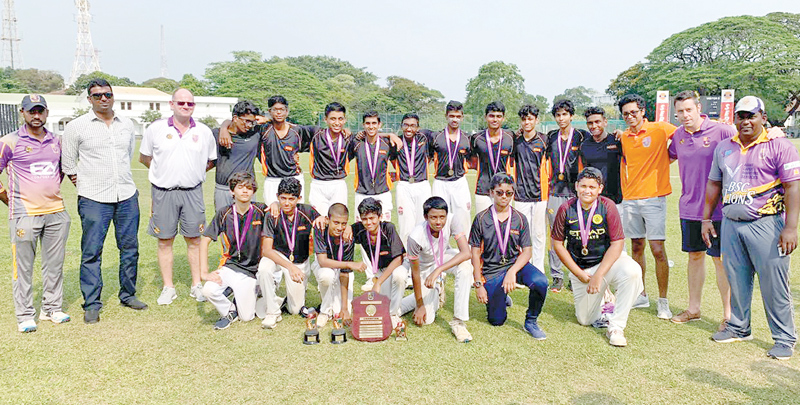 Nobel House clinched the Inter-House Cricket Tournament of the British School in Colombo (BSC) when they defeated Shakespeare House by 82 runs in the final worked off at the Thurstan College Grounds. Nobel House amassed 153 for one wicket from their allotted 10 overs with Salman Akbarally making a top score of 95 from 35 balls including six sixers and 11 boundaries. In reply, Shakespeare House managed to score only 71 for seven wickets from their allotted 10 overs with Vishunu Praveen (4/14) causing the damage. Best Batsman of the Tournament - Kavinda Subasinghe (Newton House). Best Bowler Vishnu Praveen (Nobel House). Best Fielder Nehan Moonasinghe (Shakespeare). Special Talent Award - Senuka Darmakeerthi (Shakespeare House). Man-of-the-Final - Salman Akbarally (Nobel House). Man-of-the-Series - Salman Akbarally (Nobel House).